William Lundigan needs rest in the episode "Beyond." From 1954 to 1957, ZIV-TV and Ivan Tors produced a series of science fiction dramas titled Science Fiction Theatre. 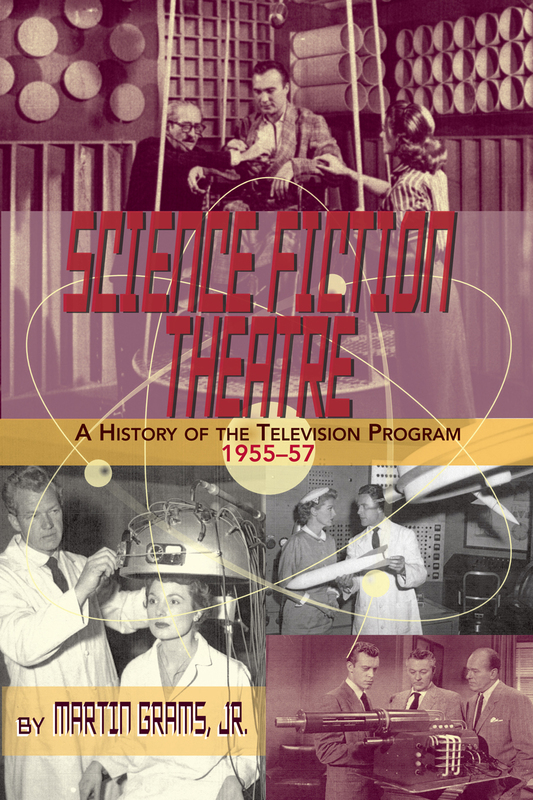 Hosted by Truman Bradley, this anthology with a strong emphasis towards science than fiction, is considered by many as one of the five best science-fiction television programs ever broadcast on American television. To get the series launched off the ground, Ivan Tors and his crew devoted more energy towards not one but two pilots, “Beyond” and “Y**O**R**D**,” than any other episodes of the series. The first of the two pilots, “Beyond,”concerned a test pilot flying with twice the speed of sound and meets a torpedo-shaped flying object 30,000 feet high in the sky. Afraid of collision, the pilot bails out. Medical experts suspect that his sighting was nothing but a visual hallucination and he is subjected to a lie detector test, hypnosis and various mental and physical examinations. In the meantime, retracing the curve of the test flight, some prominent scientists arrive at the conclusion that the angle and the speed of the ascent equalized the Earth’s gravitational pull with the result that the pilot’s brain was floating inside his skull. They conclude that the effect of this unusual condition was the misinterpretation of a floating fountain pen inside the cockpit. The pilot insists he was not hallucinating, but his insistence is met with opposition. When pieces of the wrecked airplane are recovered in the desert, the metal is highly magnetized, indicating that the plane brushed against something traveling through the atmosphere powered with magnetic force. Was it a spaceship, a flying saucer or a monitoring instrument from outer space? Only science and tomorrow will tell. 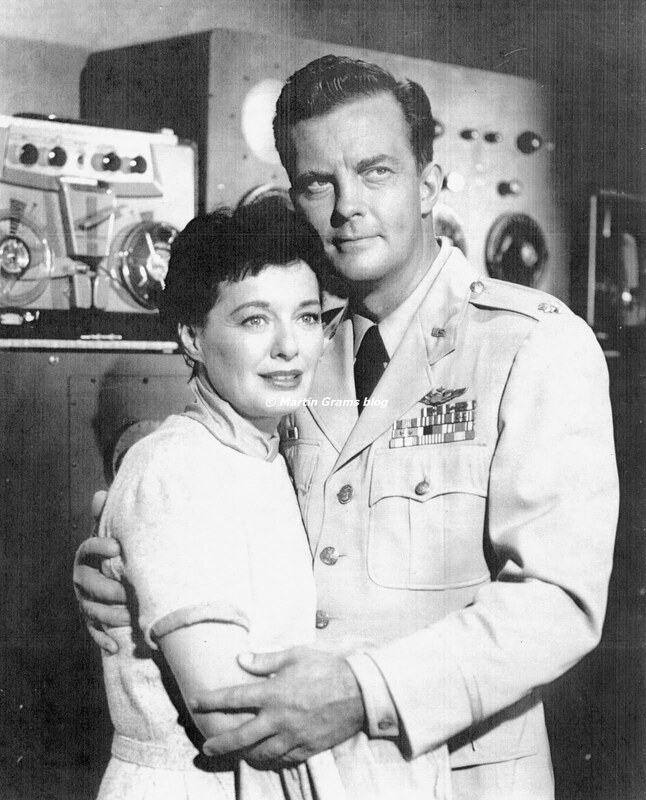 The pilot episode was produced in July of 1954, with William Lundigan in the lead as Fred Gunderman and Ellen Drew as his wife. It comes as no surprise that Lundigan, having played the lead in Tors’ Riders to the Stars less than a year previous, would star in the pilot. Tors had struck up a friendship with the actor and his agency, Famous Artists, who secured the arrangements for casting. Tors then assembled a staff composed of many who worked on his three motion pictures. Scientific advisor Maxwell Smith agreed to assist with the pilot and the entire series. 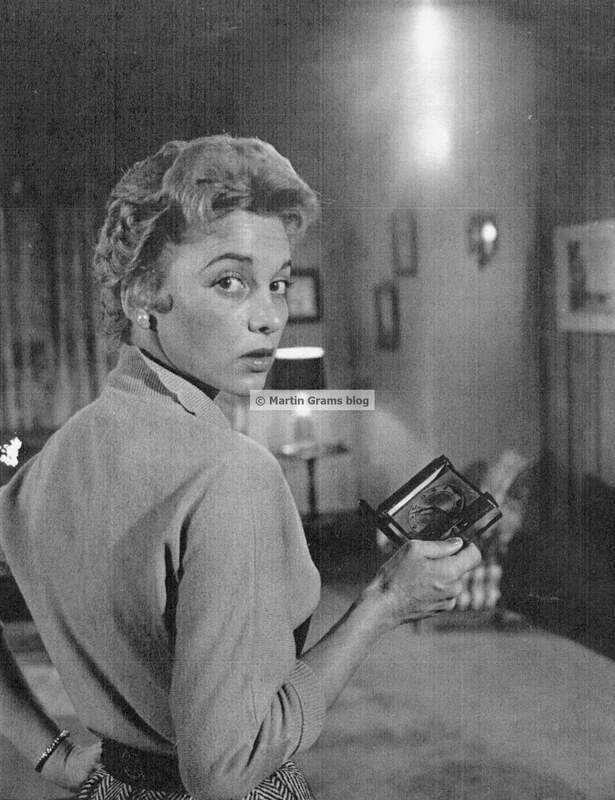 George Van Marter, who was the art director for The Magnetic Monster, was hired on a free-lance basis to temporarily serve as a writer for the first two episodes. “Beyond” concerned a test pilot who may or may not have encountered an unidentified flying object with baffled scientists unable to find definite proof that his story was merely a hallucination. “Y**O**R**D**” (that's how it's spelled on the screen) concerned a group of scientists stationed in the Arctic who receive telepathic communication from visitors from outer space, seeking a means of escape from the planet’s gravitational pull. “Beyond” and “Y**O**R**D**” were both produced at American National Studios. 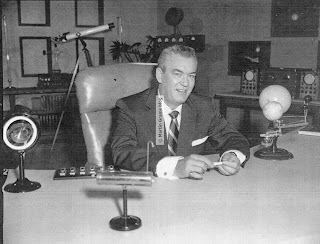 While Tors had the Hal Roach Studios at his disposal (the same studio responsible for producing You Are There and My Little Margie), it was Ziv who insisted that production be kept at American National to limit the expenses. Made at the same time as producer Art Arthur’s Battle Taxi, Ivan Tors borrowed some of Arthur’s production staff to assist with the pilot for Science Fiction Theatre. A clause in the contract protected ZIV-TV with an option to reject the proposal should he deem the pilot insufficient. Art Arthur was responsible for Battle Taxi, released theatrically in January of 1955, which had a working title of “Operation Air Rescue” during production in the summer of 1954. The movie (assigned Prod. No. 9941) took place during the Korean war, and told the story of the commander of an Air Rescue helicopter team who must show a hot-shot former jet pilot how important helicopter rescue work is and turn him into a team player. The pilot, “Beyond,” had Prod. No. 9072, revealing that production numbers were not assigned in sequence. Strock was served as an associate producer for a number of television programs and movies before script clerk Mary Whitlock Gibson recommended him for the job of both editor and director, filling in for director Curt Siodmak, who was disappointing Tors. As a film editor, Strock knew how to best incorporate stock footage into newly filmed footage. For Tors’ second film, Riders to the Stars, also scripted by Curt Siodmak, Strock became an associate producer and soon found himself taking over as director when Richard Carlson overextended himself by directing, acting and rewriting the film. It started when Carlson asked Strock to direct the scenes he acted in, and Strock quickly took over the task for the remainder of the film. Strock remains un-credited for both movies as director. 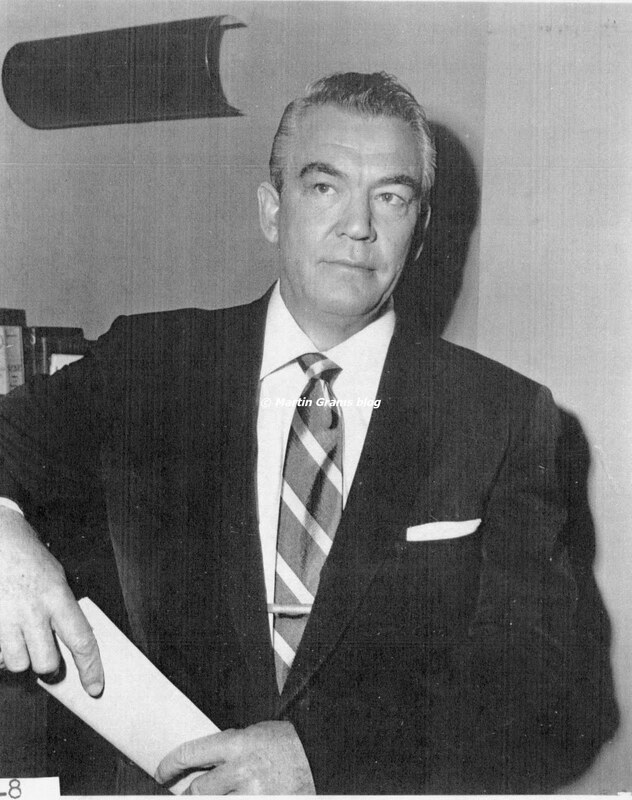 Herbert L. Strock would continue to go silent as a ghost director for Science Fiction Theatre, directing a large handful of the first season opening and closing segments featuring Truman Bradley, which were filmed separately from the dramatic stories. Also joining the Theatre troupe was Harry Redmond Jr. as a special effects technician. Redmond’s father had worked during the years of silent cinema and quickly rose in the ranks to special effects supervisor for RKO Studios. He taught his son the craft while working together for The Princess and the Pirate (1944) and The Secret Life of Walter Mitty (1947), the latter of which was the senior’s final contribution to Hollywood, passing on the torch to his son. Redmond quickly jumped into television with Dangerous Assignment before moving on to Ziv Television at the request of Ivan Tors. It was Redmond who succeeded in bringing Donovan’s brain to life in 1953, and the skilled elements that made up Ivan Tors’ three former science fiction motion-pictures. Many of Redmond’s personal props that appear in Donovan’s Brain (1953), such as test tubes, water tanks, lab equipment, Oscillograph and scientific charts hanging on the wall, make reappearances in numerous Theatre productions. 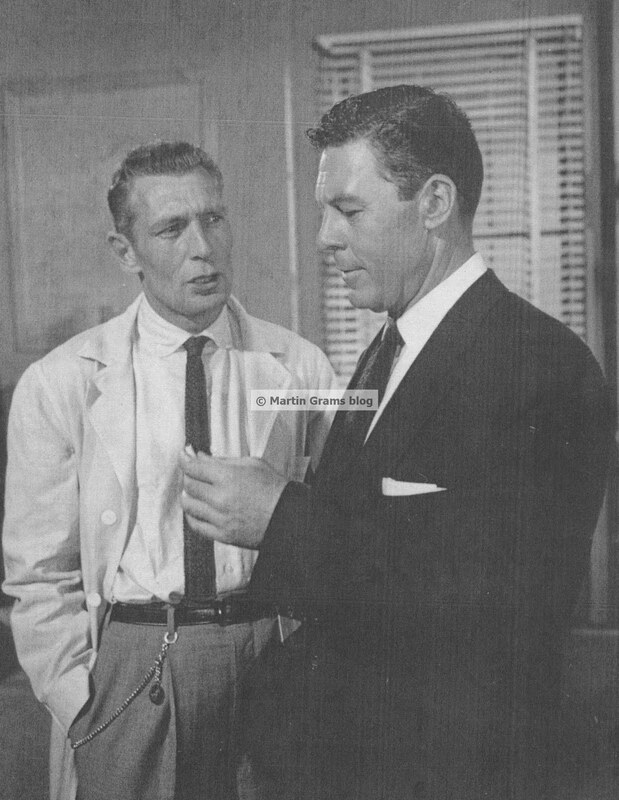 After production of Science Fiction Theatre concluded, Redmond would stay with the studio to help assist with Sea Hunt, The Man and the Challenge, The Aquanauts and then concluded at the peak of his career with the first season of The Outer Limits from 1963 to 1964. It was Redmond’s balanced magnetic field that holds the ball bearing in mid-air as demonstrated by Truman Bradley in “Beyond.” The same prop can be seen on Bradley’s desk at the close of “Beyond” and “Y**O**R**D**” and the lab demonstration for the U.S. military in one key scene of Earth vs. the Flying Saucers (1956). “Beyond” was conceived by Ivan Tors and scripted by Robert Smith and Van Marter. On April 13, 1954, Maurice Unger at ZIV consulted Tors regarding the story premise, temporarily titled “Saucer,” offering insight into story structure since television production required careful plotting and pace. The exposition, rising action, climax, falling action and concluding with dénouement, catastrophe or resolution. Another suggestion was to do a complete switch in point-of-view and play the second half of the story to an ending completely from the point-of-view of the General and the scientist. Also suggested was the questioning. “When the matter is being discussed we must knock out the possibility of everything that is suggested such as another one of our planes, an enemy plane, a guided missile, atmospheric reflections, etc. We also have to set up some reason why, if the General knew that Fred saw something in the sky, he felt it necessary to convince Fred that he didn’t.” Another suggestion was to retain the computers but remove all company logos that might be misinterpreted as product placement, including IBM. On May 28, 1954, after reviewing the revised script, Unger offered a number of other suggestions for improvement. 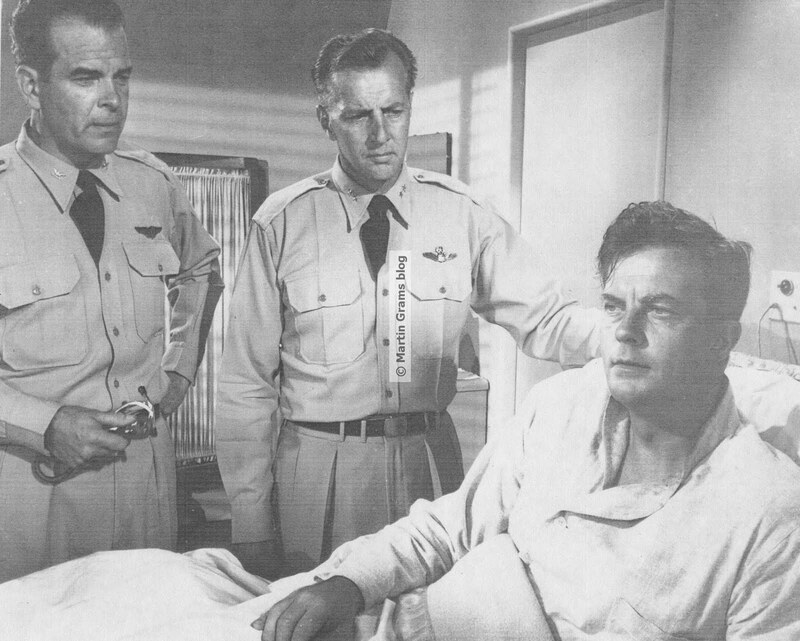 Among these was suggesting the television audience catch more glimpses of Fred Gunderman before take-off, particularly seeing his face before he put on his flying helmet, “otherwise we’ll never recognize his face when we see it in the hospital.” Another suggestion was to not mix dialogue and narration. Fading out the dialogue as the narrator overtakes the soundtrack was considered a no-no. “Once the narration stops, leave it out of the scene until all the dialogue has been completed.” This explains why Truman Bradley’s off-screen narrations overlaps only visual scenes but not verbal throughout the series. Truman Bradley relaxing at the desk in between takes. The first two episodes produced, “Beyond” and “Y**O**R**D**,” were learning experiences for both Bradley and the technical crew. Inter-office memos debated whether or not he was allowed to wear his ring on the pinky finger of his right hand, because a number of insert shots might require a stand-in to use his hand and therefore, the need of a ring to be worn as well to match. It appears the decision to remove the ring was discarded since he wears the ring throughout the first season. Bradley’s wardrobe, however, became an issue that was quickly resolved when Maurice Unger viewed the rough cut for “Y**O**R**D**,” and discovered that Bradley’s tie was a solid red before the drama but the closing scene with Bradley at his desk, inviting the viewers to return again next week, was polka dotted. When Bradley had been filmed for “Beyond,” he wore a polka dot tie and his closing invite was purposely filmed with no commentary so the closing minute (which contained the cast and crew credits) would be reused for all of the episodes—a cost saving device that was used for the closing of “Y**O**R**D**” and Unger’s disappointment. The closing scene was filmed on this date and again Unger viewed the rushes and requested Bradley wear the dark suit from now on. Observant television viewers will note that with the exceptions noted above, Bradley always wore a striped red and white tie and a dark blue suit. Teleplay by Robert Smith and George Van Marter, from a story by Ivan Tors. FILM EDITOR: Charles Craft, a.c.e. CAST: Bruce Bennett (General Troy, $750); Robert Carson (Captain Ferguson, the security officer, $70); Tom Drake (Dr. James Everett, $500); Ellen Drew (Helen Gunderman, $750); Michael Fox (the radar man, $70); Douglas Kennedy (Colonel R.J. Barton, $300); Mark Lowell (the switch board operator, $70); William Lundigan (Major Fred Gunderman, $1,500); and Basil Ruysdael (Prof. Samuel Carson, $300). Talent fee salaries are listed next to the corresponding actors. -- Because this episode was constructed as a pilot and not produced with the remaining 38 episodes of the season, Truman Bradley’s laboratory set was different from the set seen in the remaining first-season episodes, including different props along the wall during the initial pan and scan. This was also the only episode to feature the ZIV Television logo in color. -- The square glass wall surrounding the doorway in the professor’s room was the same one featured prominently in the 1954 movie Gog. -- Truman Bradley’s introduction for this episode, as verified by the script, was originally intended to open with Bradley in a dark room. The cameraman was then instructed to change the lenses by placing a tube in front of the camera showing Bradley standing in the center of the screen, revealing an instrument developed by the Defense Department to find targets in the night. Instead, the opener features the camera pointed directly to Bradley’s chair and Bradley speaks offcamera before finally walking into the frame. The remaining scenes were filmed as instructed, revealing a number of demonstrations of how the human eye could not see what was clearly there. -- Eddie Davis directed Truman Bradley for the opening and closing lab demonstrations on Sept. 11, 1954, as well as the introductory pan and scan of the lab that was intended for the opening and closing on-screen credits. This pan and scan, however, was discarded for a revised pan and scan filmed when Bradley’s lab was reconstructed (with revisions) six months later for the production of the remaining 38 episodes. -- Props featured in this drama would be reused repeatedly throughout numerous episodes of Science Fiction Theatre including the speaker in the Operation Center and the textured painting of the solar system hanging on the wall in the professor’s office. -- The Eastman Kodak company provided the stock footage of the slow motion effect of the bullet hitting the glass. Every episode of the first season was filmed on Eastman Kodak color film. -- A poster mapping out the layers of Earth’s atmosphere hangs on the wall in two separate rooms in two separate scenes in this same episode! This is the same poster that would appear on the wall in numerous episodes such as “Project 44,” “Postcard From Barcelona” and “Hour of Nightmare” and the wall of Truman Bradley’s laboratory during the initial opener of every episode, located behind the oscillator cone. 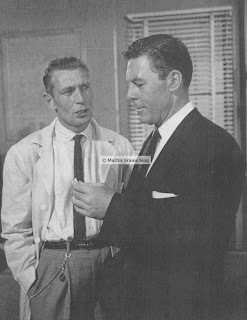 -- After the initial filming for this pilot was completed, Bruce Bennett insisted on having the same identical billing that William Lundigan received — Equal size and position on the screen. ZIV-TV obliged to please both actors, but when Basil Ruysdael insisted on first feature billing, this posed a problem. Ruysdael only had a brief scene in the entire episode. ZIV’s solution was to give him top billing on the list of supporting cast (not the lead stars). Ruysdael was not satisfied when he learned about the arrangement, threatening in a letter never to endorse Science Fiction Theatre. This may explain why he never appears in any other episode of the series. -- The scene of the missile launching into the Earth’s atmosphere in this episode utilizes the same stock footage that appears in “The Strange People at Pecos” and the same footage that closed the movie Gog (1954). The information contained on this page originate from the new book, Science Fiction Theatre: A History of the Television Program, 1955-57, by Martin Grams Jr. This is one of the latest books to come from Bear Manor Media, published in late 2010. The information contained on this page was reprinted with permission from both the author and the publisher. If you know of anyone interested in the book, or want to help spread the word, click on the photo for an enlarged copy and right click to save the image. Great job, Martin! I bought a copy of your book. I haven't finished reading it yet, but it's another winner!